This Applebee's franchise at 1510 W. Harrison Ave. is one of seven Valley locations owned by RMH Franchise Holdings, which has filed for bankruptcy. HARLINGEN — The owner of seven Applebee’s restaurants in the Rio Grande Valley has filed for bankruptcy. 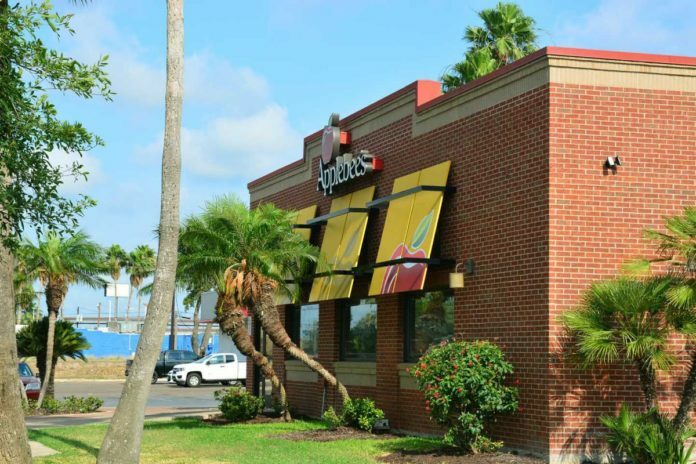 RMH Franchise Holdings, the second-largest franchise holder in the 2,000-plus Applebee’s restaurant chain, operates two sites in McAllen as well as restaurants in Harlingen, Brownsville, Edinburg, Palmhurst and Weslaco. RMH spokeswoman Robin Jenkins told the Lincoln Journal Star the company’s restaurants are expected to continue operating during the Chapter 11 bankruptcy reorganization. “We are excited to continue serving our guests in all our neighborhoods,” she told the Nebraska newspaper. RMH holdings owns and operates 163 Applebee’s restaurants, including 15 in Texas. In its bankruptcy filing in Delaware, the Atlanta-based company listed between $100 million and $500 million in assets and an equal amount in liabilities. The bankruptcy filing occurs about two months after the company revealed a major security breach at all its locations that exposed customers’ credit cards to hackers. Malware was found operating on the software of the company’s cash register system between December 2017 and January 2017. The company said the malware was designed to collect names, credit or debit card numbers, expiration dates, and card verification codes. These point-of-sale attacks can give thieves the ability to steal credit card information from customers. It is unclear whether the bankruptcy filing is related to the security breach. A number of major restaurant chains revealed credit card breaches last year, including Arby’s, Chipotle, Sonic Drive-In and Shoney’s. Like many restaurant chains in the United States, Applebee’s has not been immune from changes in customer tastes, with younger diners in particular tending to avoid sit-down eateries like Applebee’s and opt for fast-casual options instead. Dine Global Brands, Applebee’s parent company, closed nearly 100 locations last year and said it planned to close between 60 to 80 additional sites this year.